Instead of the traditional turkey and pilgrim-themed lunches, we decided to make our Thanksgiving Bento Hop about something more important - things we are thankful for! They can be silly things or serious things. Big things or small. Each person got to interpret the theme however they chose. 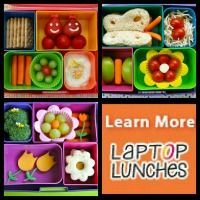 You can scroll down to read more about my lunch and why I chose my friends as my theme, or hop on to the next Thankful lunch from Shannon at What's For Lunch at My House? This hop goes in a loop, so you can click the button in each post to go on to the next, until you come back around to me! 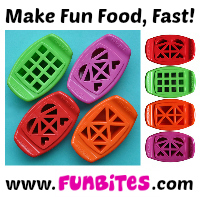 Since Little Z would be taking this to eat at school, I packed it in an EasyLunchbox, so she could open it herself. And I found a Lunchbox Love note to fit the theme, plus a cloth napkin with a heart design (from Red Poppy Crafts on Etsy) packed inside the box to help keep everything in place. You Make a Grape Friend: I used letter picks to spell out the word "FRIENDS" in a medley of grapes in a silicone heart cup. 100-"Carrot" Gold Friendship: I made a bunch of orange and yellow carrot hearts using a mini heart cutter (the one I used is discontinued, but is around 3/4".) 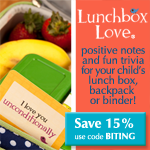 I also used the cutter to punch four hearts from an Enjoy Life SunButter Crunch bar that came in my November Savorfull box (use code BITINGMYHAND to get $1 off one month, $9 off 6 months, or $20 off a year!) 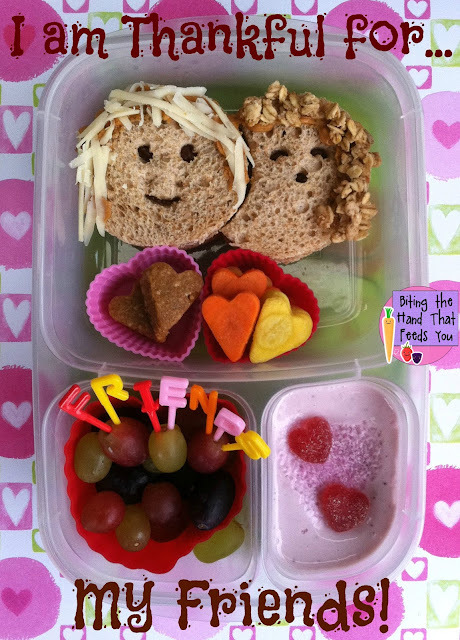 I put two hearts in this lunch in one of the mini heart cups, and saved the others for her afternoon preschool snack. Circle of Friends: I used a round cookie cutter to make my little friend sandwiches, and since I couldn't fit two whole circles across each slice, I cut the partial circle from the scraps so the two sandwiches could fit together. I used my faces cutter on the top slices so the spreads could show through. For Little Z's face I was able to kind of push the bread up into the cutter, one hole at a time, so the features got spaced out a bit more. For the friend, I just used it as-is. I used peanut butter to glue on the "hair" - grated white cheddar for the "Little Z" sandwich, and Pure Bliss Organics' Banana Gorilla granola, which I was given a sample of to try, for the friend. I love how the granola hair turned out. It makes the cheese hair look terrible! Oh well. For this lunch, I purposely left the "friend" vague, so Z could decide who it was. I had kind of modeled it after a girl she's been talking about from her new preschool class, and was excited for them to see it. But they skipped snack that day, apparently, so she brought it home untouched. Oh well. I got to watch her enjoy it, which I've been missing out on lately. At first she decided the granola-hair was her, until she decided she was the cheese hair. So then the granola-hair was me. Then Baby E. I told her it was whomever she decided it should be and let her ruminate while she munched. We read the word FRIENDS together, and I read her the Lunchbox Love note. She loves reading them with me. 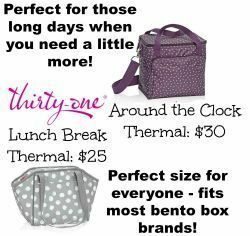 And since my Bento Bloggers and Friends group is doing this Blog Hop, I figured what better theme could there be, than to show them how thankful I am that they are in my life! I translated it into something Z would understand by using her and a friend as my motif, but the theme of friendship is for my BBFs. 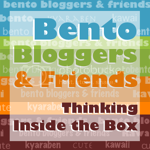 We started out as bento bloggers and enthusiasts, and became true friends. I've always thought online romances were silly, but now I know how strongly you can bond with people you've only "met" online. Love you, Mamas! Muah! I loved getting to read what each food symbolized! Great theme and I love how you made hair for the sandwiches! I love it! and awwwww... the love is definitely mutual! Wow, what a lovely tribute to friendship! I love how you purposefully chose each item in your bento, and the symbolism behind each one. I'm going to have to look into those sun butter bars!! You did a beautiful job!! Aw that was really sweet, and cute too! Very creative to use cheese and granola hair! Gives the faces a very nice touch. And very well thought out post on the symbolism behind each component. So thoughtful and beautiful! 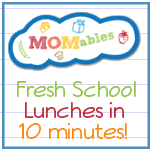 LOVE your lunch! I really like all the thought you put into this! You left it vague for your daughter but who is this really? Love the hair. Awww! Love you too. And your lunch. And your humor. And. And. And. Maybe one day we shall meet in person!!! Awe.. love all the little details that make this lunch something really special! Awww... what a wonderful lunch! I love the way you left the sandwiches open to interpretation. When I first saw the picture, I thought the granola sandwich was going to be Cristi. Great job! 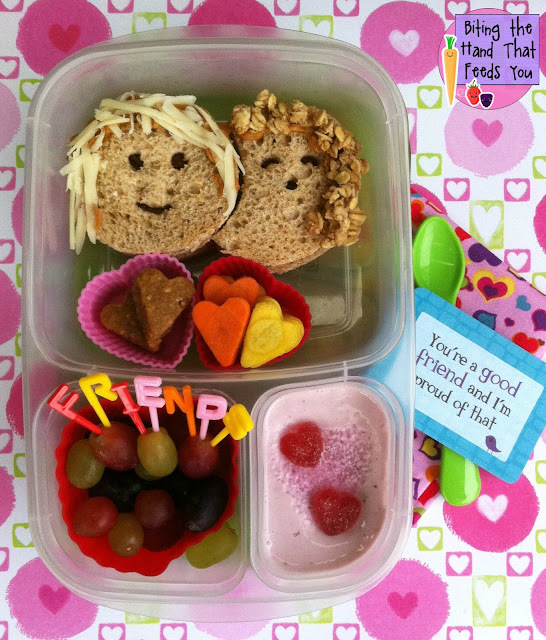 Your friend sandwiches are too cute. I am thankful for you!